The standard SR Chair (french: siège rembourré, i.e. padded seat) was designed by the engineer and designer Jean Prouvé. Prouvé developed the SR according to the weight that it could bear: the front legs, which were only slightly loaded, were rather slim, while the rear legs were designed with more thickness to support a heavier load. 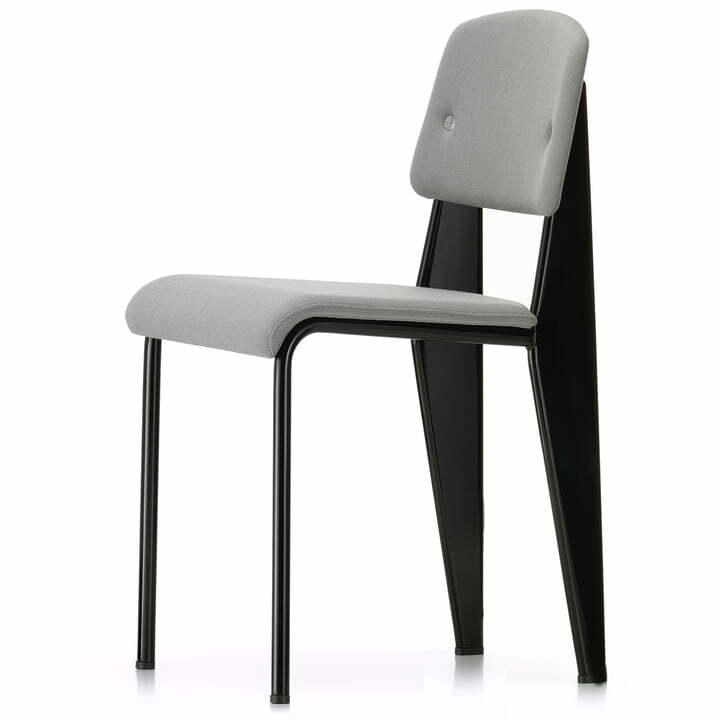 Thanks to the voluminous hallow sections, the chair’s back and legs not only fulfilled their purpose, but also gave the chair its distinctive look. A polyurethane foam padding and high-quality Vitra fabric provides the appropriate comfort. The base consists of powder-coated steel, which gives the chair industrial charm and offers a fascinating contrast to the padded seat. 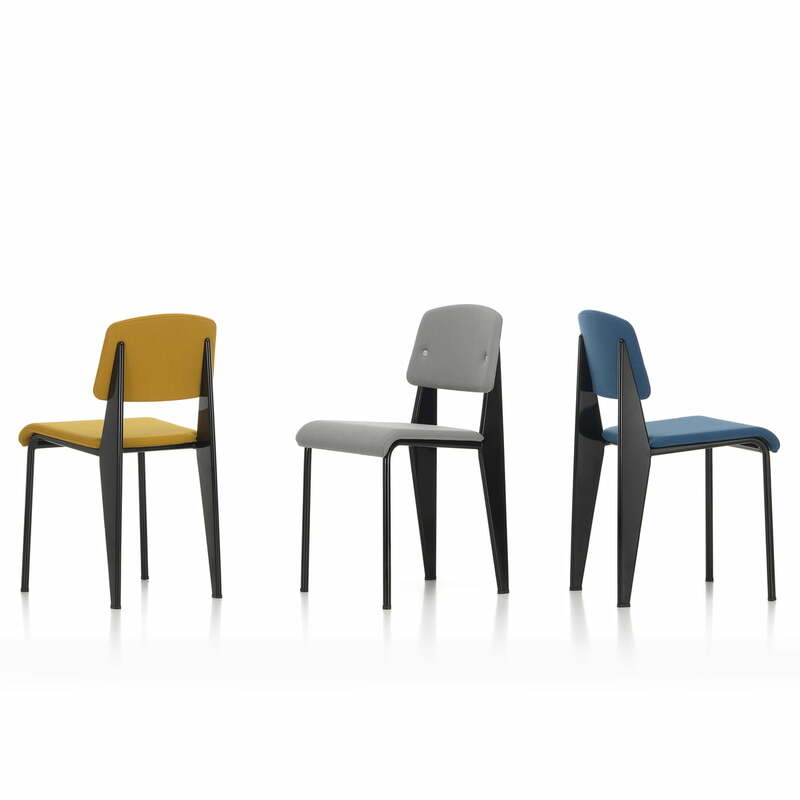 The standard SR Chair by Vitra is available with a Volo cover in different colours. Isolated product image of the standard SR Chair by Jean Prouvé introduced as a re-edition by Vitra with a black base and an iron grey Volo cover (14). 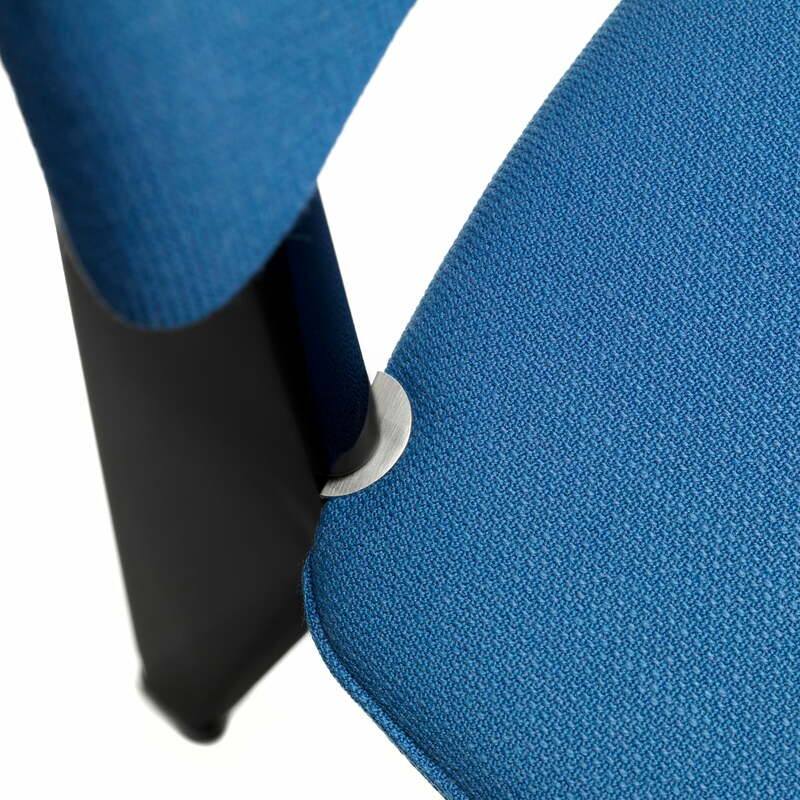 Isolated product image: The padding on the seat and backrest that consists of polyurethane foam is covered with fabric and offers extra comfort to the SR Chair by Vitra. 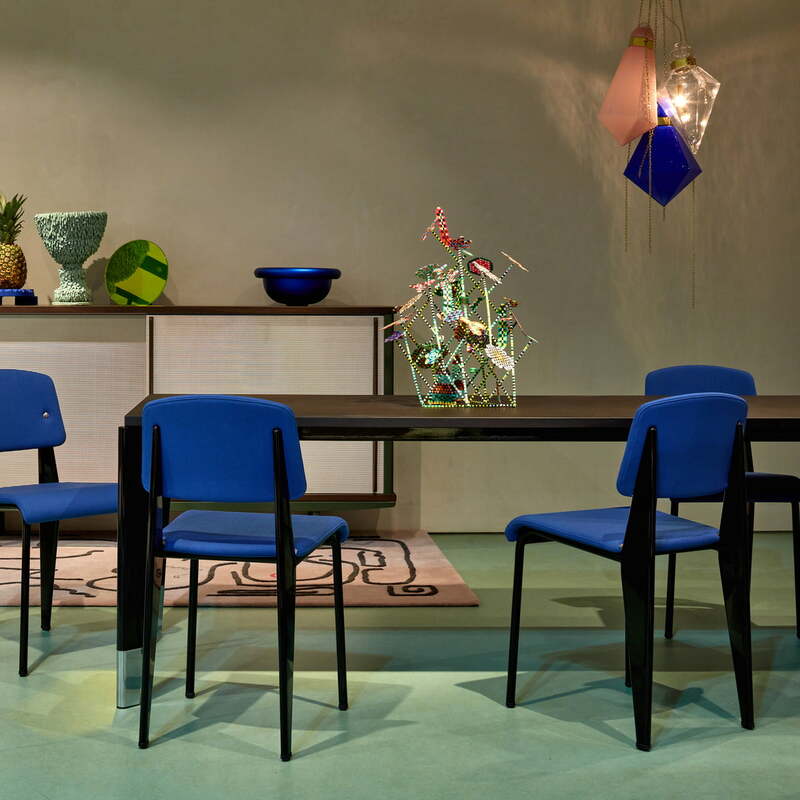 The standard SR is a re-edition of the chair designed by Jean Prouvé. Bringing the chair into the present, Vitra equipped the seat with a lightly padded cushion in order to enhance the seating comfort. 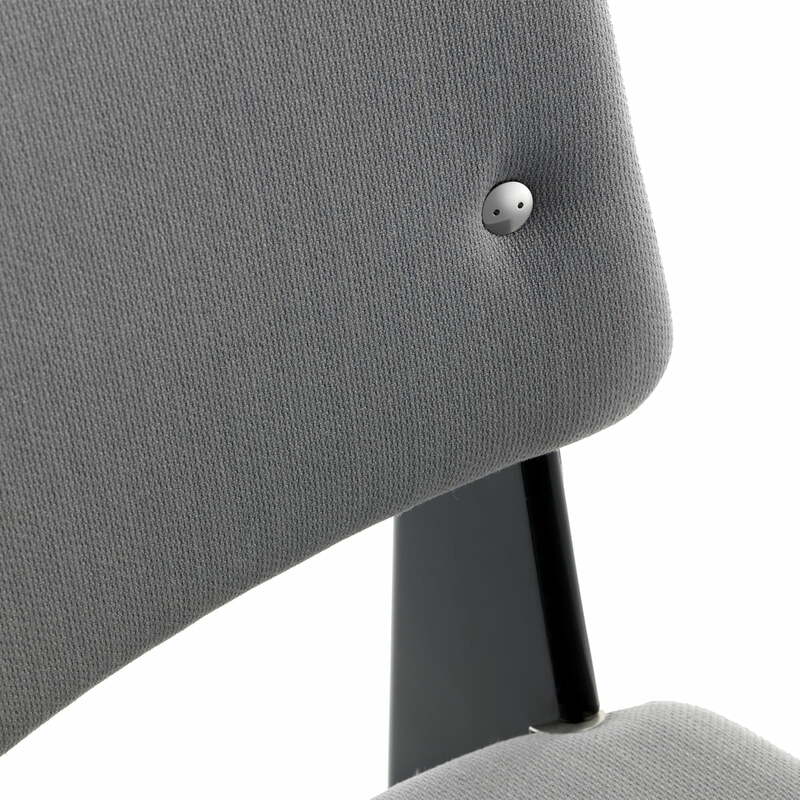 Details product image of the standard SR Chair by Vitra. The frame of the standard SR Vitra consists of powder-coated steel, which gives the chair a special industrial charm. 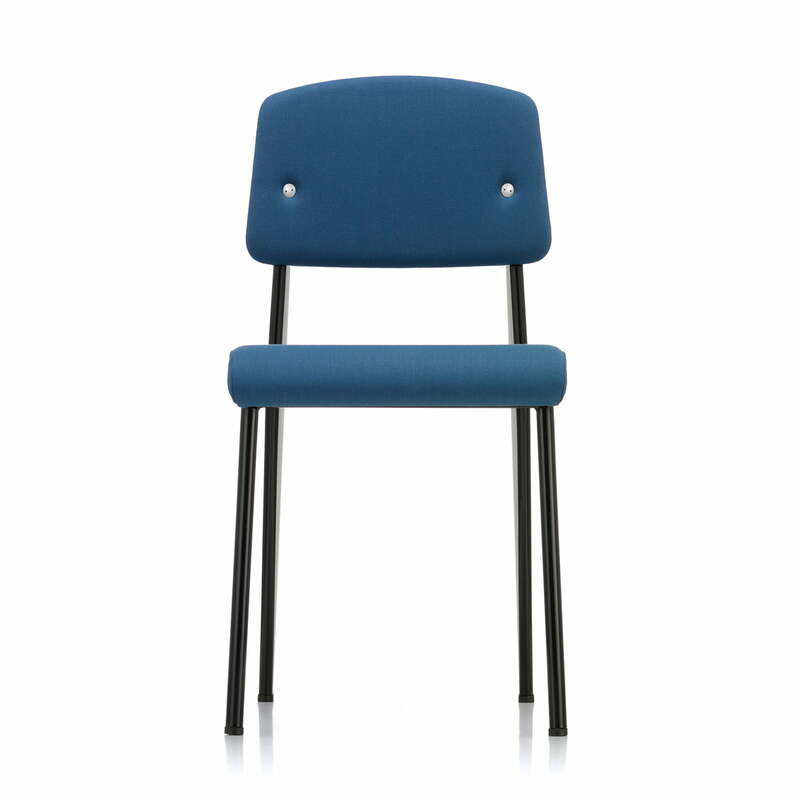 Whether at the dining table, desk or as decorative chair in the hallway - the standard SR Chair is a special eye-catcher that combines function and aesthetics in its most beautiful way.